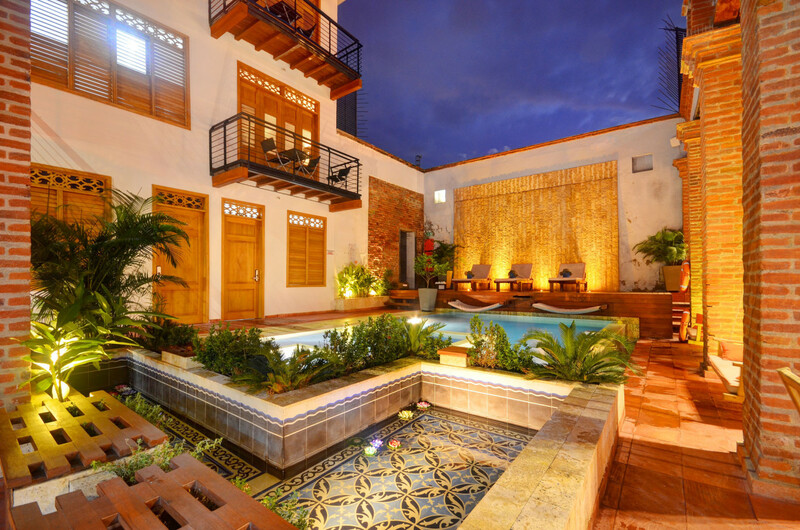 Casa Carolina is one of the best hotels in Santa Marta, Colombia. 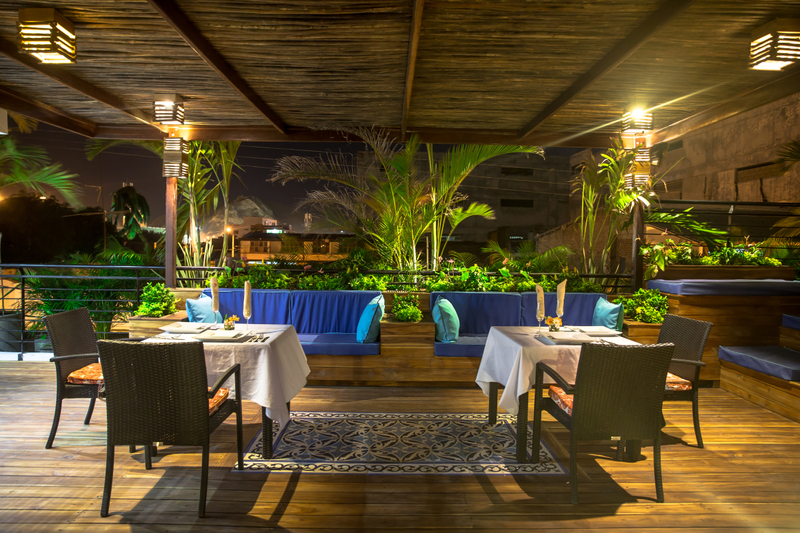 From it's picturesque pool area to the wonderful terrace one can truly experience luxury on the Colombian coast. 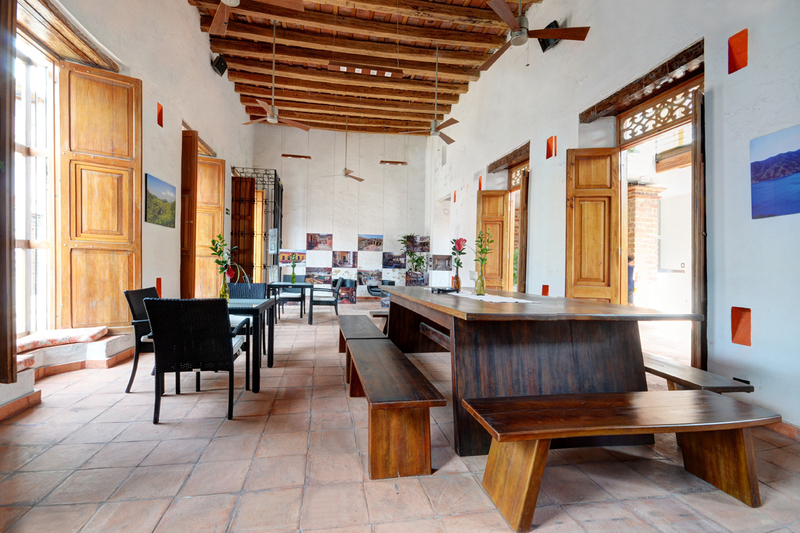 Charming, transgressive, out-of-the-norm places that go against the current – these are some of the characteristics that the best boutique hotels in Santa Marta, Colombia attract. Boutique hotels started appearing during the 80’s in New York City and their breakthrough into the mainstream happened during the late 90’s. This type of hotel arose as an answer to a market niche created by big hotel chains whose services became too standardised and impersonal for some guests. But What Exactly is a Boutique Hotel? For most of us, a boutique hotel is a place that makes us feel unique by paying attention to the small details. 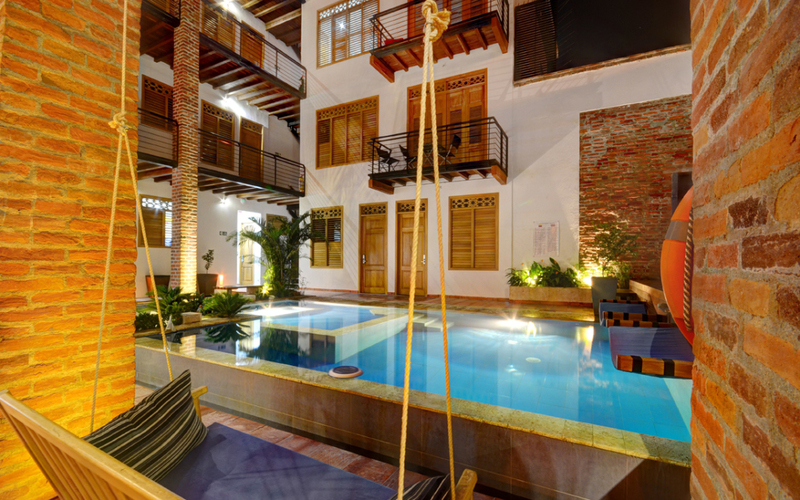 As of late, Colombia has seen a surge of businesses boasting the “boutique hotel” moniker, regardless of whether said business truly deserves the name or not. This, of course, only fosters confusion in tourists and visitors, who are often not knowledgeable enough to tell a true boutique hotel from a regular hotel. Exclusivity: First off: A boutique hotel has to be exclusive. This term, now abundant in mainstream marketing, fits the idea behind hotel boutiques perfectly. If for example you needed to purchase a new shirt but are not looking for anything fancy, you would normally go to the nearest shopping mall and pick one up from the bargain bin, right? Simple and straightforward. But should you be looking for something more durable, better quality, classier and more fitting for special occasions, you would go to a boutique to get your shirt. The same principle applies to hotels – they must not be a franchise or part of a large hotel chain. A boutique hotel worth its salt must be unique and unrepeatable. Architecturally Unique: This second characteristic goes hand in hand with the first one. A boutique hotel must have a unique architectural design. If it looks strikingly similar to another hotel in the planet, it’s not a boutique hotel. 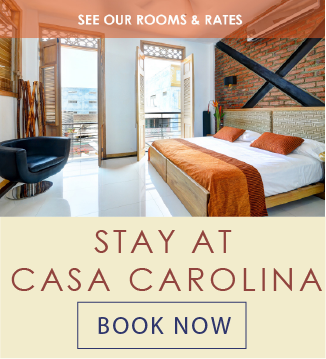 We attribute the exceptional selection of boutique hotels in Cartagena and Santa Marta to the unique colonial architecture which blesses both these historic cities. Restoration projects of small to medium size colonial houses lend themselves perfectly for creating these exclusive establishments, and prevent large chains and resorts from entering the market, thanks to strict legislation designed to protect the architectural integrity and charm. 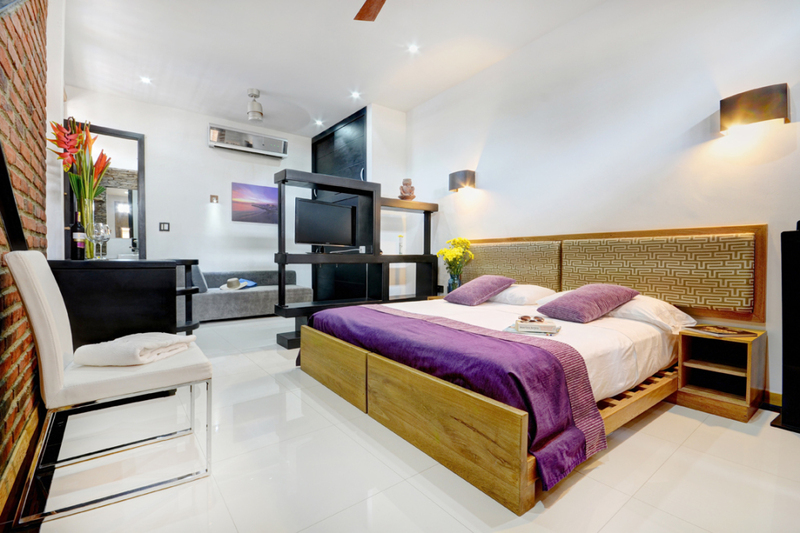 Now, one thing we must make very clear is that size is important when it comes to defining a hotel boutique, but this doesn’t necessarily imply a rule of thumb. 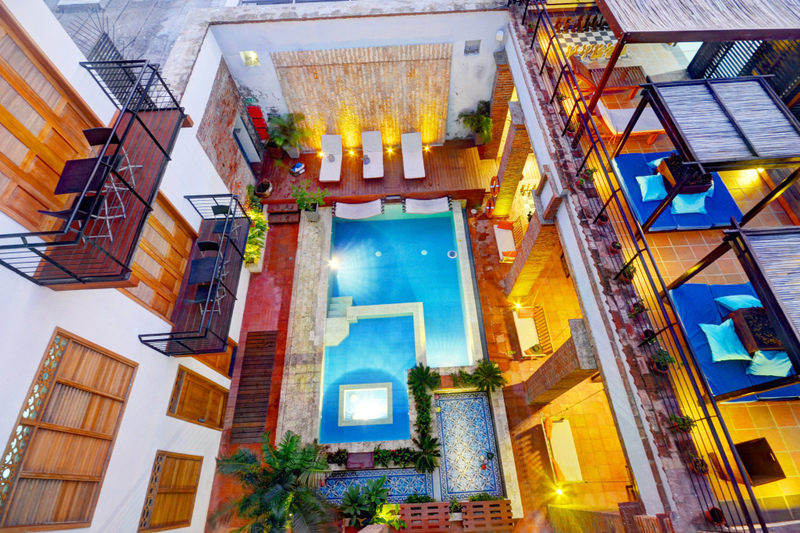 Hotel boutiques are generally small, but not every small hotel is a boutique hotel. Although there is no official number, a hotel with more than 40 rooms most likely isn’t a boutique hotel. Customised Service: Although this isn’t necessarily a characteristic that is exclusive to boutique hotels, it does play an important role when telling a boutique hotel apart from a chain hotel. Generally when it comes to service in the hotel industry: the fewer rooms in a hotel, the higher the service quality you would expect. Customised service means accompanying the guest from the very first contact throughout the reservation process, through arrival and during the entire stay. A personal understanding of who a guest is, what specifically will make their stay a success and how they would like to be treated is of the utmost importance. Unique Atmosphere: We find exclusivity again as the main factor in this characteristic that defines a hotel boutique: its atmosphere and general vibe must be unique and unrepeatable. Everything in it, whether it be furniture or art or the facilities, even the amenities – all of it must be geared towards a specific concept. Location: Usually, hotel boutiques are located in the commercial and shopping areas of large cities, or in the historic centres close to museums and important cultural sites.